Hey guys (pssht, no pun intended! 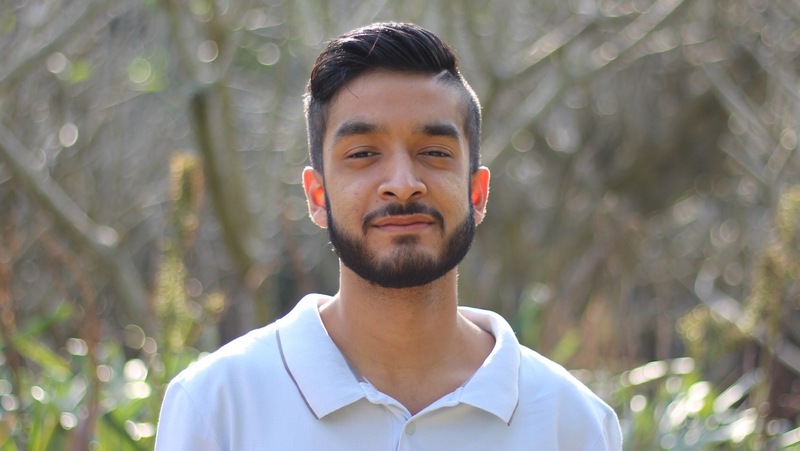 ), going forward, you can expect to find some really great reviews of male beauty & grooming products from our very own (and very first, male beauty reviewer) – Sohail. Sohail will be our very own Guinea pig for all aspects of male beauty and grooming (well, what else are younger brothers for?) and will be compiling reviews for all of the products that he tests out – like the Vaseline MENFace Even Tone Expert Moisturizer! I hope you (and your other half and any other male counterparts that may be lurking around on my blog of which I am unaware) enjoy Veiled Beauty’s new ‘Male Beauty Reviews’ section! 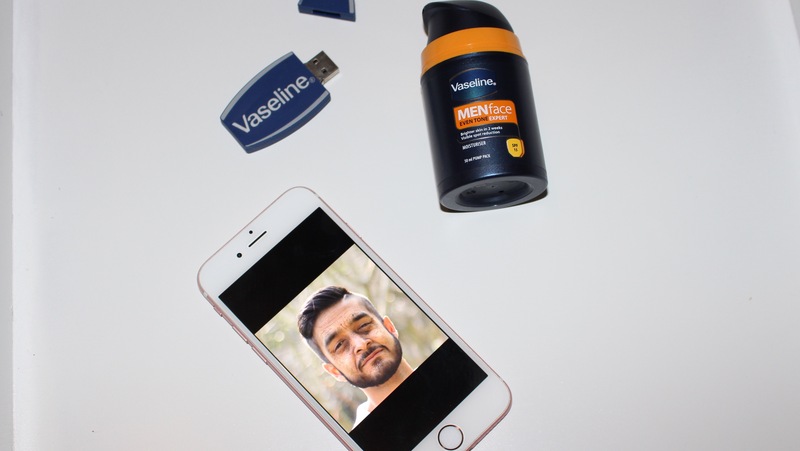 Now on to the review..
Vaseline sent over their MENFace Even Tone Expert for Sohail to try out and share his thoughts on it with you guys. But before we get into the results, let me tell you a bit more about the product. 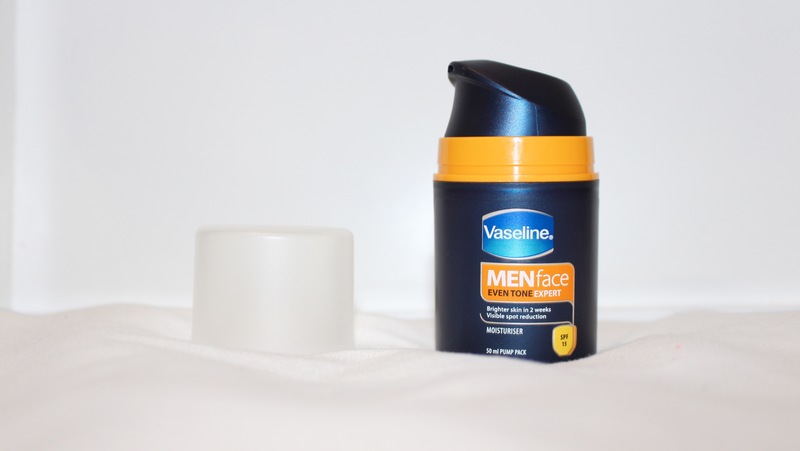 The Vaseline MENFace Even Tone Lotion is formulated to provide smooth, even-toned skin and 15x protection from the sun as it contains an SPF of 15. With continued use it aims to leave your skin restored and replenished without feeling greasy. One more thing, don’t forget to head on over to Vaseline’s website (click here) and upload a pic of your other half/family member and see what they would look like in the future with sun damage and if you share his ‘Worst Face Scenario’ on @vaselineza Twitter, you stand a chance to win a Sunglass Hut voucher or an adventure worth R10 000! Go on and check it out! How funny is Sohail’s #worstface? “Ive never been one to stick to a facial skincare routine, but I ensured that every morning and evening, after washing my face, I used the Vaseline MENFace Even Tone Expert and I’ve definitely noticed the difference as my face feels a lot smoother and more moisturizer. I particularly love the fact that it contains an SPF of 15 because, as I mentioned before, I am not one to stick to a skincare routine or even apply sunblock for that matter, so this product definitely does a double duty – providing moisture and sun protection. The fact that the bottle has a pump attached to it, made it really simple to get the product out – and it also helped to control the amount of product that came out.